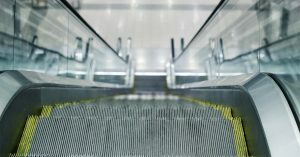 MBTA Accidents Category Archives — Massachusetts Injury Lawyer Blog Published by Boston, Massachusetts Injury Attorneys — Breakstone, White & Gluck, P.C. Commuting is a major stress in the Boston area. Having to ride the MBTA should ease the burden. But it often just adds anxiety, especially for commuters at the Route 128/University Station in Westwood. Two news stories have put the spotlight back on the long-running equipment and system problems at the Westwood station, including out-of-service elevators and escalators. Offering both MBTA and Amtrak train service, the Westwood station serves half a million commuters each year. When systems are running on time, you can take the MBTA into Boston in less than a half hour. The MBTA also offers service to Providence or Amtrak provides travel beyond Rhode Island. With over 2,500 spaces, the Westwood station is also one of the rare MBTA stops where you can still find a parking space. The problem is walking through the station. State officials are investigating a MBTA Green Line crash that sent 37 people to area hospitals Thursday, according to The Boston Globe. One trolley rear-ended another parked in the Boylston Street station, causing dozens of injuries as passengers boarded. Media reports described the injuries as non-life threatening. An MBTA spokesman told the Boston Herald there is “no evidence of cell phone use” by the 46-year-old operator whose trolley drove into the parked train. The operator has been placed on paid leave until the investigation is complete. He has been operating trolleys with the MBTA for six years and has no accidents on his record, the MBTA spokesman told the Boston Herald. A few hours after the subway accident, The Boston Globe reported that MBTA inspectors had ruled out track and signal problems as a cause and were investigating whether equipment failure or operator error was to blame. The MBTA has experienced several accidents on the Green Line in recent years which have caused passenger injuries. In 2008, a Green Line trolley slammed into another trolley stopped at a red light in Newton. The driver was killed and one passenger was seriously injured. The property damage was estimated at $8 million, according to WBZ. In May 2009, 68 people were hurt in a train crash at the Government Center Green Line station. This was blamed on an operator who was texting while operating his trolley. He was fired and later pleaded guilty to a criminal charge of negligence in exchange for two years probation and 100 hours of community service. According to media reports, the MBTA has settled some claims from injured passengers in the 2009 trolley crash, while others have filed personal injury lawsuits. In the first case that went to trial last June, a jury awarded a $1.2 million judgment to a Scituate woman who was seriously injured. She suffered a herniated disc and neck injuries which left her unable to return to work as an airline ticket agent. Over the last twenty years, Breakstone, White & Gluck has represented several clients in cases caused by the negligence of the MBTA. In 2008, our firm obtained a $3.98 million verdict for a woman who was struck by a MBTA bus while crossing the street and lost her leg as a result. The final award with interest after the MBTA exhausted appeals was $7.1 million. Click to read a report and past blog entry on the case.